1036 customers have given this product a 5-star rating. Of these, 993 customers have written no texts or given their feedback in another language. 113 customers have given this product a 4-star rating. Excellent Castor. Honestly can't fault it. Runs smooth little or no ground noise. Have litterally over 100 of these and not one with a problem. The only negative I could say is I wish the Thomann staff putting the stock sticker on would put it onto the wheel . If it is on the wheel it comes off easy for me and if they stick it to the metal there is a lot of effort required to take off the label as I hate paper labels on the equipment. Hopefully they might heed my advisory. 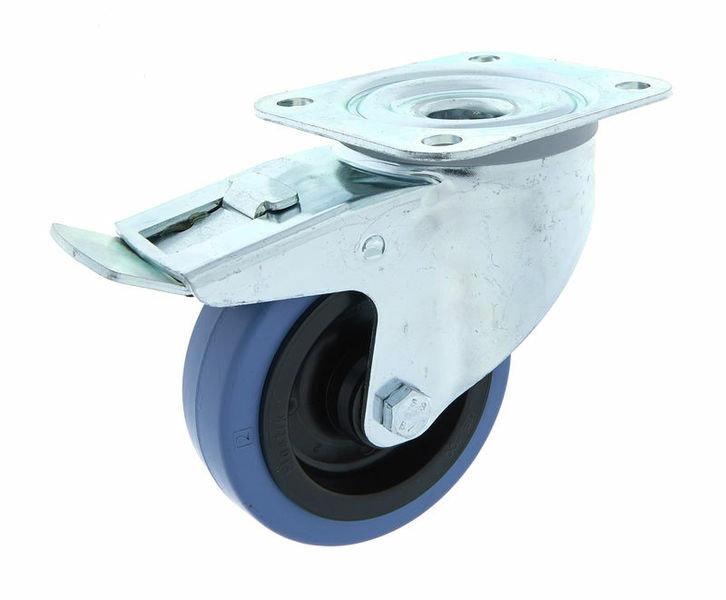 The only castors we use. We are an AV company based in the UK and use these Millenium castors on all our cases, speakers and pieces of equipment. They are very hard wearing and can withstand the everyday road use that they come across. They are braked and we find the brakes very good additions to the units. Will most certainly purchase more in the future.